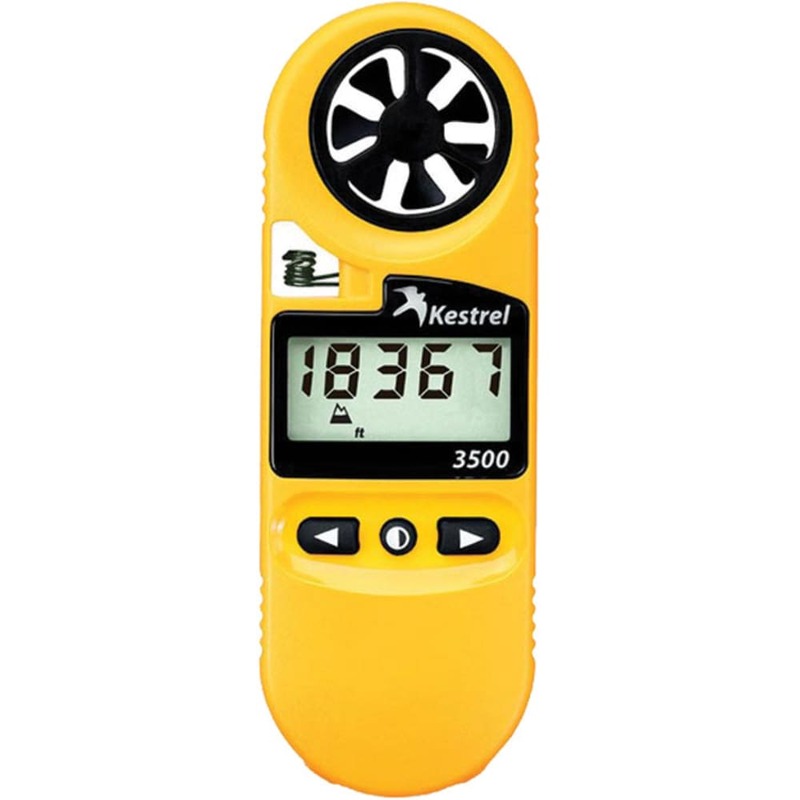 The Kestrel 3500 Meter is an extremely sensitive unit for accurate weather readings. Large, backlit display. Patented, user-replaceable impeller. External temperature sensor for fast, accurate readings. Operates on one CR2032 battery. Slim ergonomic design with a rugged case and neck lanyard. The meter floats and is water resistant up to 1 meter.